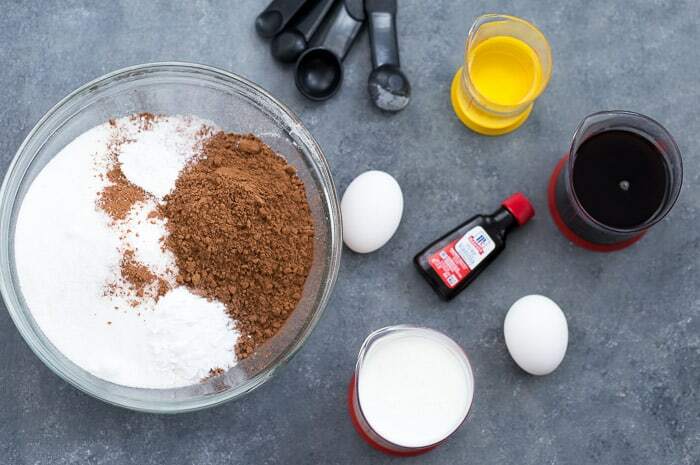 Easy step-by-step directions (with pictures) on how to make one bowl chocolate cake. 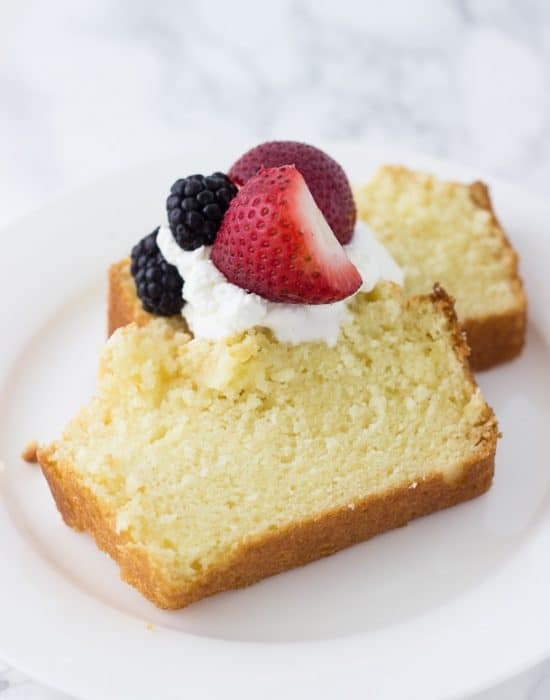 This go-to recipe is decadent and moist! 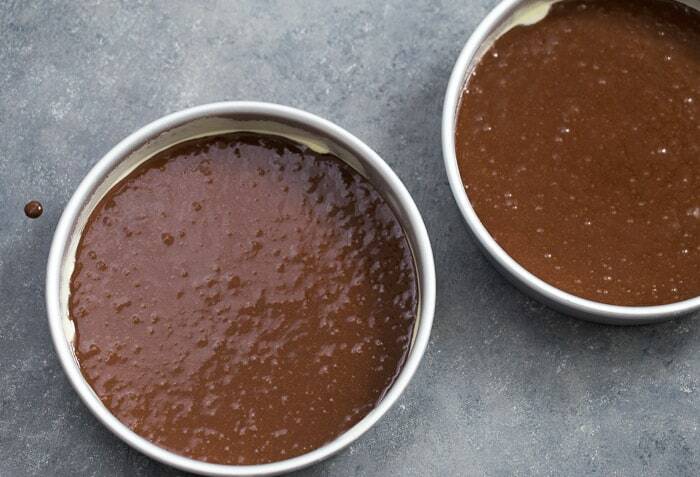 Perfect for all your chocolate cake and chocolate cupcakes. Hi friends! 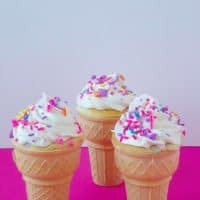 I have another simple how-to post for you today. 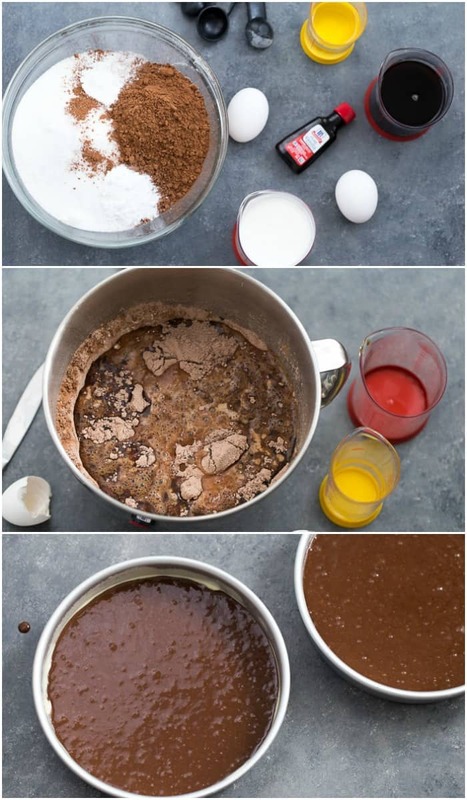 I am starting with basics like how to frost a layer cake and now how to make one bowl chocolate cake. 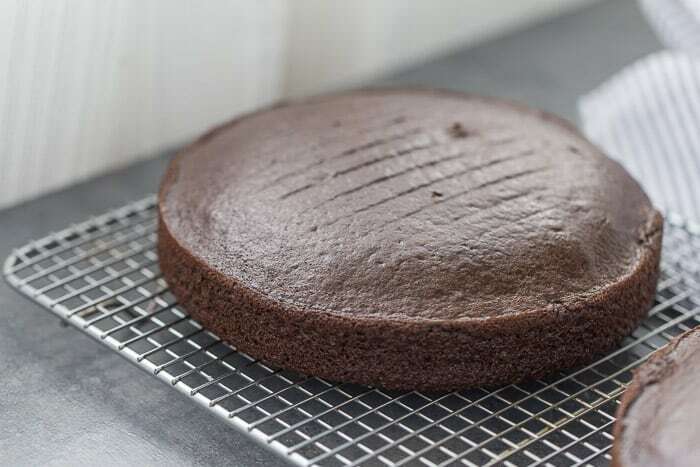 This chocolate cake recipe is the MOST popular recipe on my blog and I spend a lot of time responding to questions and emails from those of you just starting out on your baking journey. So here it is in one place, walking you through how I make my favorite one-bowl chocolate cake recipe. It’s the most decadent and moist chocolate cake that is perfect for your chocolate loving family. To say this is simple is an understatement. Here are the ingredients needed for two 8-inch round cakes. Combine the dry ingredients in a large bowl. Whisk together to make sure it’s all well combined. In a separate bowl, you want to also whisk together your wet ingredients. I like adding the hot coffee last slowly to ensure not scrambling the eggs. Add the wet ingredients to the dry and mix until well combined. I like beating on medium speed for 2-3 minutes to really mix the batter. As you can see it is a thin batter but that is expected. Before baking, I like using a spatula and give it one more mix. 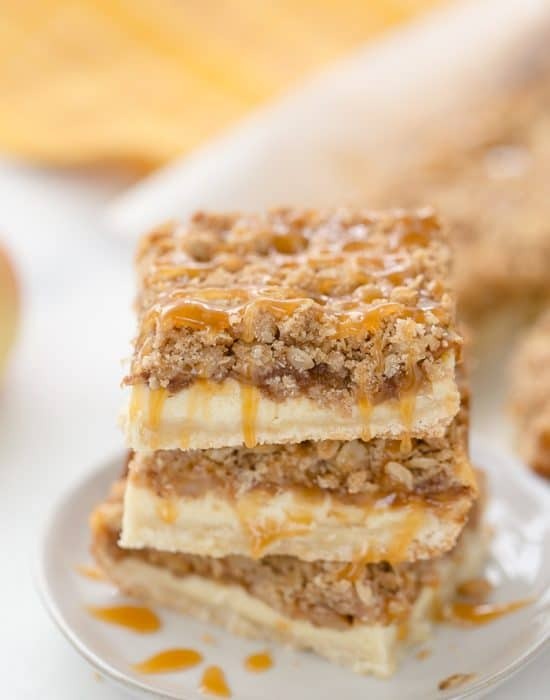 The key to any great cake is in the baking. 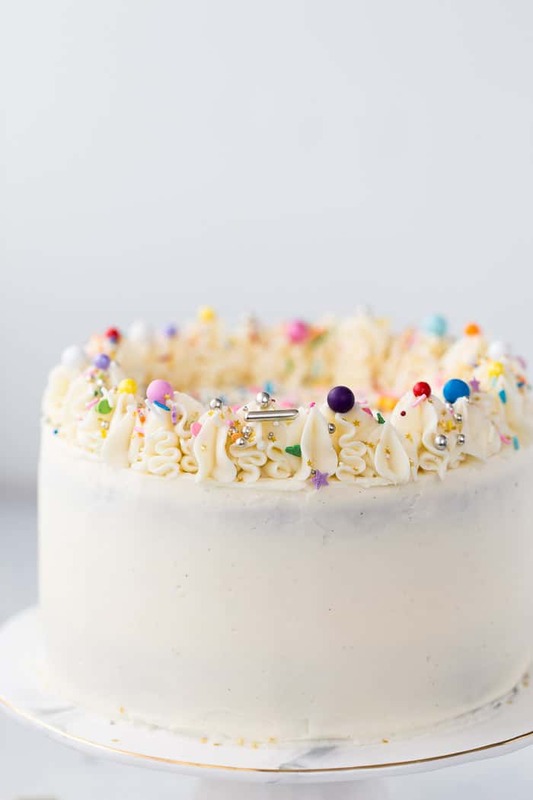 I love using Fat Daddio’s baking pans – these 8-inch rounds are my go-to for celebration cakes. Butter and flour your pans really well before adding your cake batter. 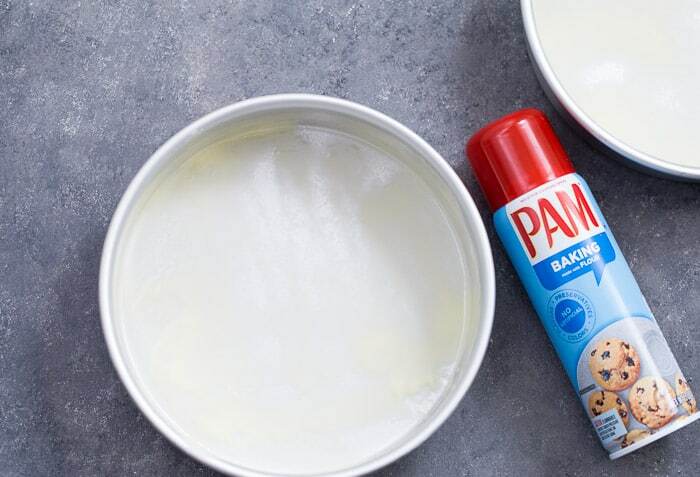 I use PAM baking spray (not sponsored, just love them) which mixes butter and flour for easy greasing. It has never failed me even for intricate bundt cake designs like this passion fruit bundt cake (know on wood). Divide your batter evenly into two 8-inch round cake pans. 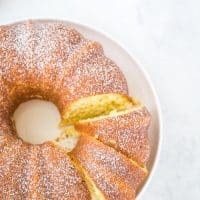 You can double this recipe to make three 9-inch cakes. 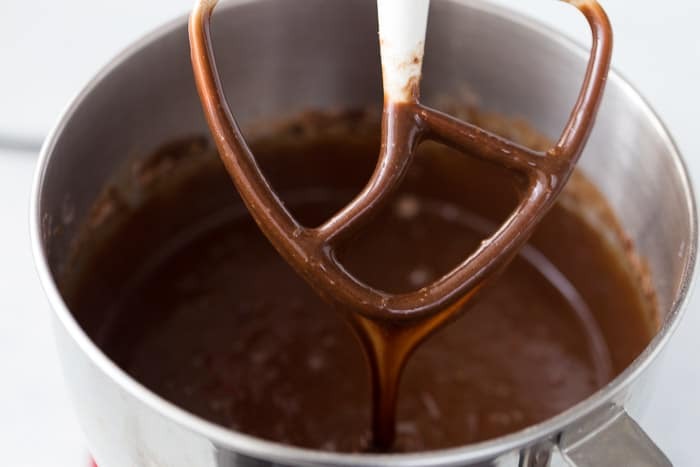 Once the batter is in the cake pans, give the pans a few good taps on the counter to release any air bubbles. Bake the cake at 350 degrees F for 22-25 minutes or until a skewer inserted into the center comes out clean. Let cool in pan for at least 10 minutes. Invert to a wire rack and let cool completely. There you have it, friends. 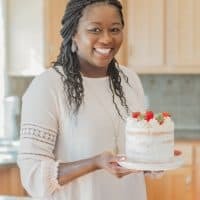 An easy chocolate cake to make and one that will soon become your go-to if you haven’t tried it. This one-bowl chocolate cake recipe is one of my favorites. The coffee in the cake batter enhances the chocolate flavor making it, even more, richer (aka decadent). Using vegetable oil instead of butter ensures maximum moistness (is that even a thing??). 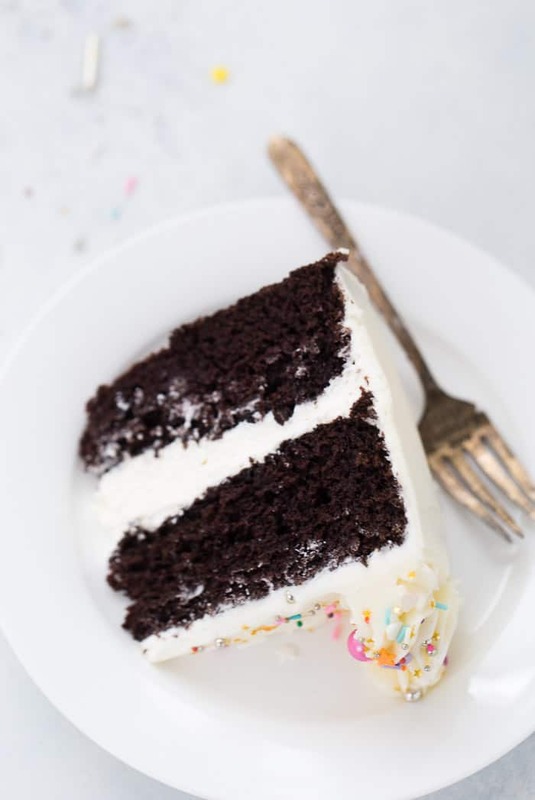 It’s my go-to recipe and you can see I use it in a base from everything from this Chocolate Cake with Salted Caramel Frosting to these Chocolate Cupcakes. You can use just plain hot water in place of the coffee. 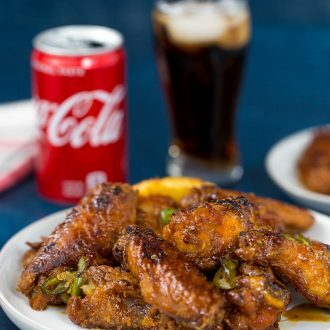 You can also use 1/4 cup coconut oil to make this recipe dairy-free. 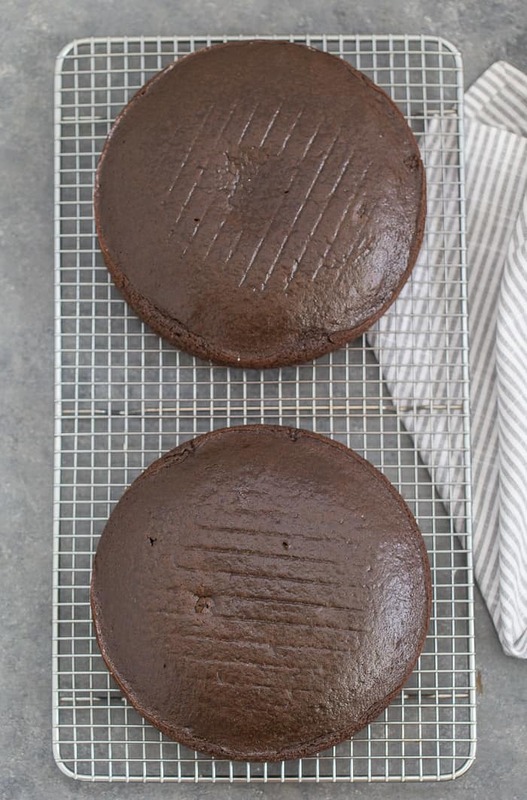 You can double the recipe and bake in three 9-inch round cake pans. Adjust bake time accordingly (about 25-28 minutes). 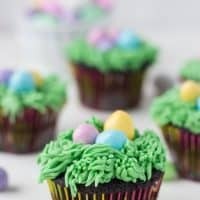 You can also bake this in cupcake forms. Bake the batter in cupcake liners for 12-15 minutes. Preheat oven to 350 degrees F. Grease and line two 8-inch cake pans with parchment paper. Grease the parchment. Sift together all the dry ingredients into the bowl of an electric mixer. 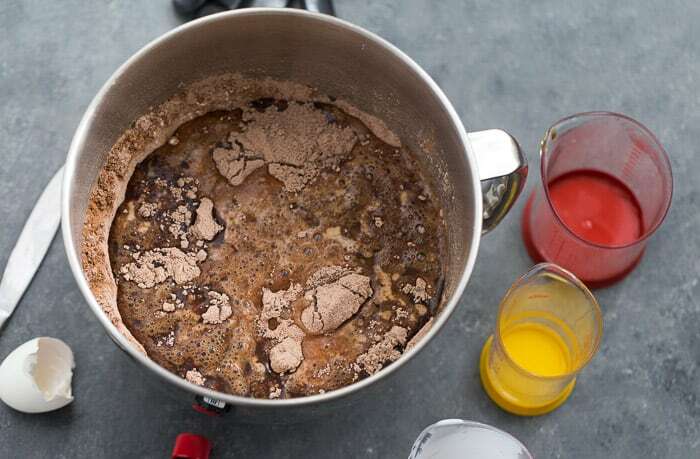 Mix the dry ingredients on low speed for 1 minute. 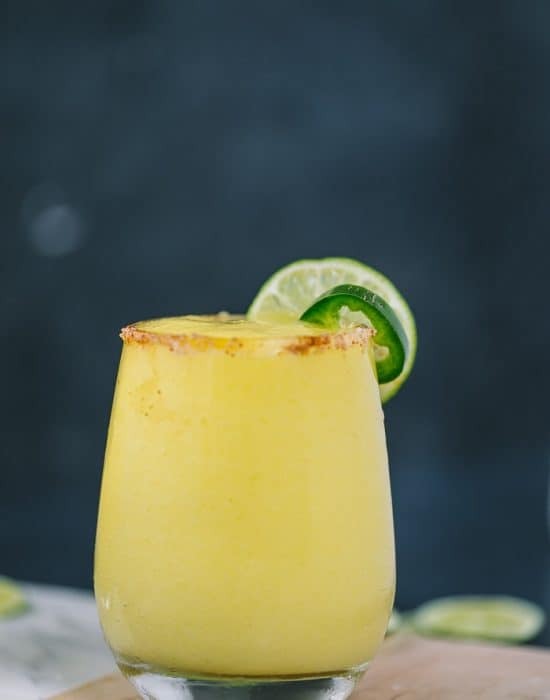 Stop the mixer and add the wet ingredients. Mix for 2 minutes on medium speed and scrape the sides and bottom of the bowl. Mix for an additional minute on medium speed until well combined. The batter will be thin. Divide the batter evenly into the prepared pans. Bake for 25-30 minutes or until a toothpick inserted in the center comes out almost clean. Cool cakes in pan on wire rack for 10 minutes before inverting onto the wire racks to cool completely. That chocolate cake looks so good! 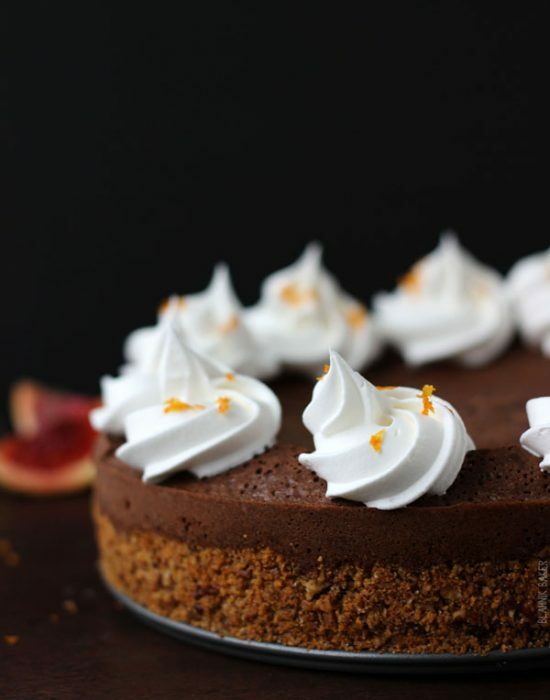 Visiting this website again after a week and again I see a new recipe, a delectable cake, and an alluring cake design. Thanks, Zainab for your classic twist. 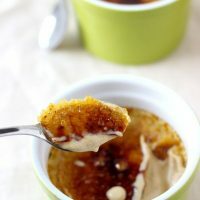 I can’t get over how simple this recipe is-love it! So easy! And a keeper. 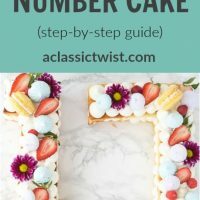 One of the best cake recipes your ever going to find. 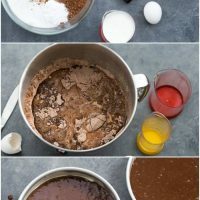 Been cooking cakes for over ten years this recipe is easy, moist,texture and elasticity is perfect for chocolate cake. The type of cocoa is crucial. I’ve cooked it twice, first time used a dark cocoa it was good but the dark chocolate enhanced the salt so it tasted a tad salty. So next time if using a dark cocoa will omit the salt. Second time, used good quality standard cocoa and came out great. Also used a diluted espresso instead of plain water. Also glad the writer noted the runniness of the mix abit worrying at first. 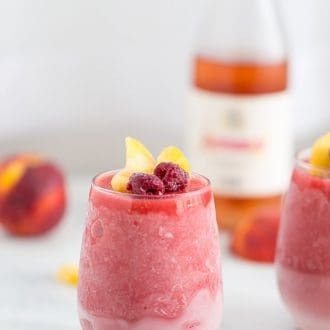 Excellent recipe.